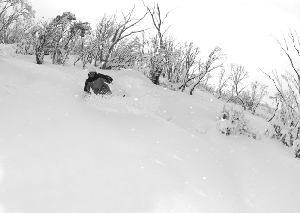 Falls Creek’s 2018 snow season finished with a bang over the weekend, closing lifts for the second year running with well over 1m of snow covering the slopes. In what has become a highly-anticipated tradition, the resort made sure the closing weekend was a spectacular one with the hosting of the 4th annual McKayos mountain bike race. McKayos is a one of a kind MTB race experience in Australia. 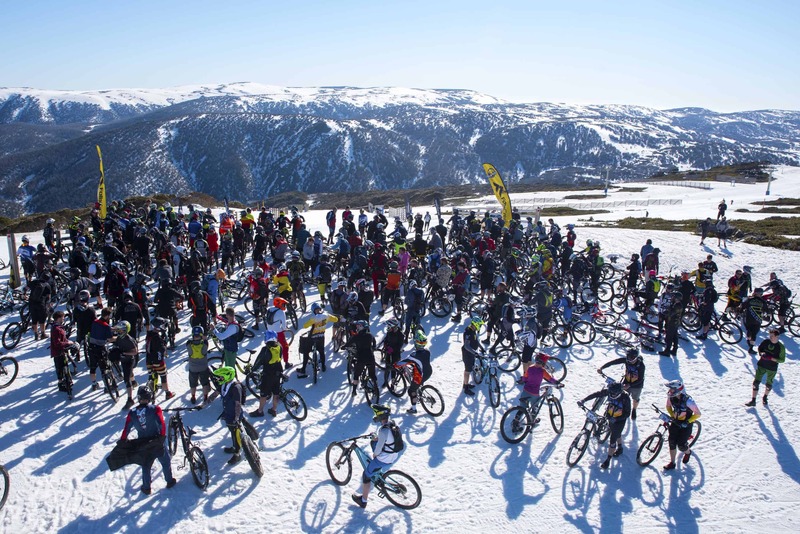 Taking place on the closing weekend of the Falls Creek snow season, the event truly says goodbye to winter and hello to a summer of mountain biking. 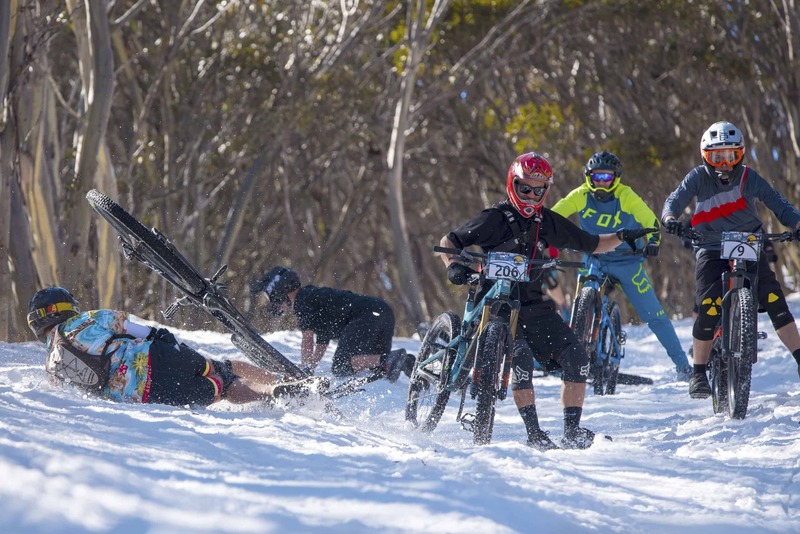 Inspired by the epic mass start Megavalanche race in the French Alps, McKayos is Australia’s only snow-based mountain bike race. 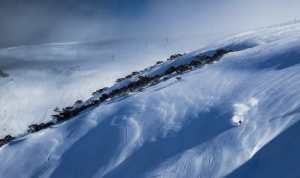 Over 250 participants lined up on the Falls Creek slopes at 1770m for a chaotic mass start racing through the ski fields. Predictably there were plenty of spills as riders attempted to remain on two wheels at speed on the snowy surface. 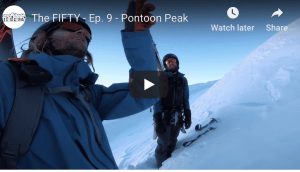 A literal sea of riders provided the other major obstacle to achieving this goal. Once through the ski fields, the race becomes a more traditional mountain biking event with Falls Creek’s summer mountain bike trails and fire tracks providing the 20km course to the beautiful shoreline of Lake Guy at 670m in Bogong Village. 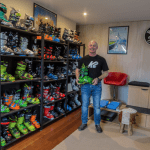 Mount Beauty local and 2017 McKayos champion, Ben McIlroy, proved too good for the competition, registering back to back victories. In the female division Goele Schmitz took out the win in the Elite category while others battled it out for category honours. Elite Womens winner Goele Schmitz was overjoyed to take home the win. Ben McIlroy said his race was run to plan despite stiff competition. Event organisers could not have been more pleased with the success of the event. 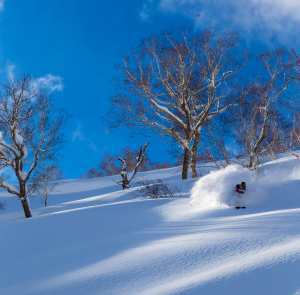 Falls Creek Resort Management Event Coordinator, Xena Pahina, said the turnout was immense. 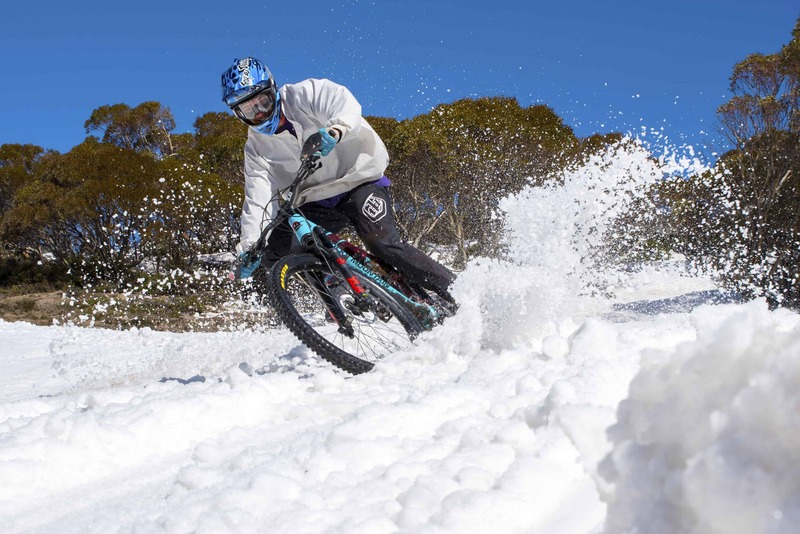 After another successful snow season, Falls Creek will soon turn its attention to summer when the activity kicks off again with mountain bike season officially opening on November 17. Opening with an even larger social ride weekend, the season opener event “Ignition” is expected to see over 500 riders take to the resort in celebration of the opening of Falls Creek’s world-class mountain bike trails.